German truck manufacturer Polster brings us a truck with the high-quality Germans are known for! The 5.25 Stage 6 Truck. Polster Trucks is one of the few German truck manufacturers today who actually give the biggest truck manufacturers a run for their money! That's because they are constructed with quality manufacturing and materials. The 5.25 Stage 6 Truck is a perfect example! Available in four color ways, there is a color to go with every board graphic. 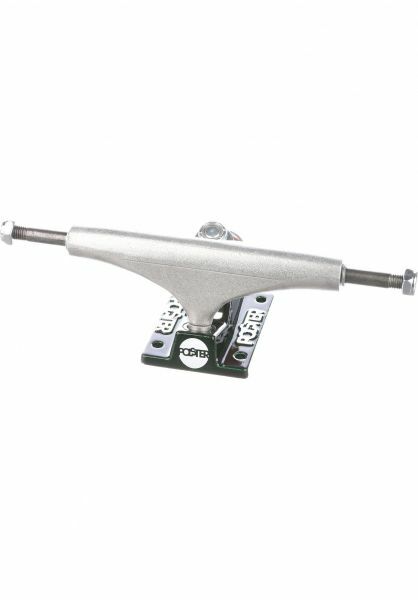 The 5.25 Truck is best suited for decks with a width between 7.75" and 8.125".